It joins a number of military bases threatened by climate change. In Annapolis, Maryland, where the Severn River enters Chesapeake Bay, the historic U.S. Naval Academy sits nearly surrounded by water. And that water is rising. John Conger, a former official in the Department of Defense, directs the Center for Climate and Security, a nonpartisan think tank. 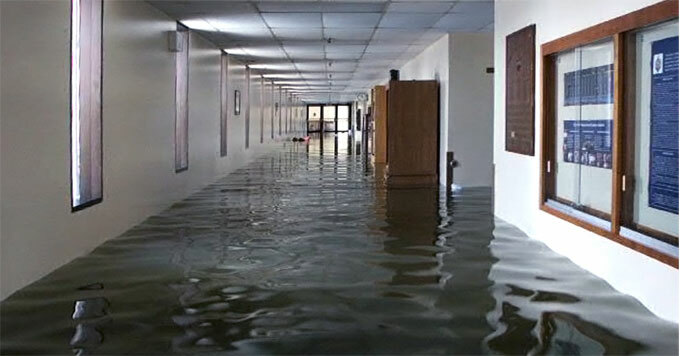 As seas rise, high tides are expected to regularly flood sections of the Academy, and as much as half of the campus could be flooded when hurricanes strike. Conger says the Naval Academy is getting ready. It’s purchasing flood barriers for doorways, designing buildings that can better withstand first-floor floods, and repairing sea walls. It’s work that must be done if the Navy is going to continue training future generations of officers at Annapolis. Similar problems are emerging at military bases around the world, and Conger says that military personnel are responding.